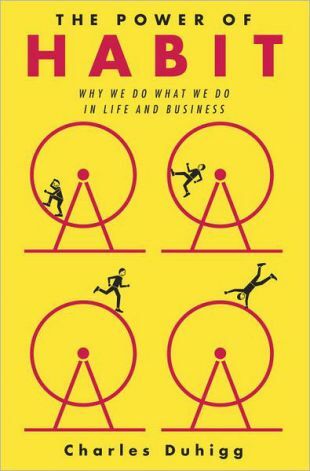 I've recently started reading Charles Duhigg's The Power of Habit: Why We Do What We Do in Life and Business (2012). I could tell from early reviews and chapters that some of my students would benefit from the book, so I've taken steps to order copies for one of the reading groups that I'll coordinate in the fall. As I was envisioning the kinds of conversations we'll have about old and new habits, I started considering some of my own routines. For over a year now, I've been publishing a blog entry about African American poetry nearly everyday. In his book, Duhigg mentions something known as a "habit loop," which consists of a cue or trigger, a routine, and a reward. The cue prompts us to go through a set of processes or routine and if the results are sufficiently rewarding, we are inclined, when we re-encounter the cue, to repeat the process, hence forming a habit loop. For me, the cue has become sitting in front of a blank computer screen in the morning. When I turn my computer on or in fact when I first wake, I begin asking myself about what I might say about poetry today. I then go about the practice and routine of selecting or refining an entry about a poem, a poet, or set of historical events. I press "publish post" and then "tweet;" and the rewards come in the forms of a completed composition task, promotion of the entry, and feedback. The feedback often comes in the form of "page views" and re-tweets rather than extensive comments. Those non-verbal responses have been rewarding and have inclined me to share my ideas publicly on my blog as opposed to simply writing about poets and poetry and storing the files on my hard drive. On some days, I alter the routine by writing about a subject other than poetry. Or, I publish my morning writing in a location other than on my blog such as in a short letter to a friend or family member--who are sometimes surprised to read an email from me about literature. Interestingly, completing the steps in the habit loop even when I'm not always writing about poetry keeps me feeling productive and fulfilled with what I have accomplished in a fairly short amount of time.